We’re going to try out a new mini-series of blog posts here at GFI. At the beginning of each month, we will run down a list with links to some of the most significant posts, KB articles, and more, all related to Exchange. Call it news you can use about stuff that matters, or a quick rundown of the previous month…we’re going to call it “In case you missed it” and November 2015 is our debut month. So here we go. 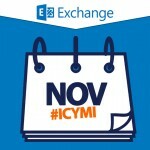 First up in our monthly rundown is the “You Had Me At Ehlo” blog maintained by the Microsoft Exchange team. Always a great source of information on all things Exchange, including Office 365 Exchange Online, the team had four posts this month. While there were no updates specifically for any version of Exchange, there were several that you would want to install on any server running Exchange. There were several in November that you probably want to know about for workstations too, so be sure to check out Microsoft Security Bulletin Summary for November 2015! Here’s the latest KB articles posted by Microsoft for Exchange. The one on third party Exchange ActiveSync clients is one you should bookmark, as it is updated regularly! 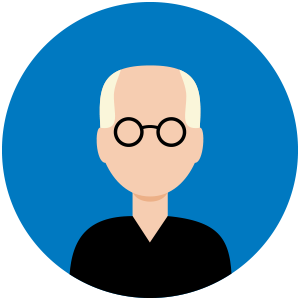 This blog, run by Microsoft Exchange MVP Henrik Walther, includes tons of great content on Exchange and Office 365. Are there any particular blogs you follow, or posts you’ve read, that others might like? Do you have your own blog on Exchange? Leave a comment below and let us know!